Web Hosting for Multiple Domain names, PHP, MySQL, CGI, bulk space, eCommerce, low cost SSL Certificate is available for all your websites, domain names, CPanel, great web hosting solutions for Webmasters, Businesses and Website Designers. Fantastico Blog, Auctions, Photo Albums, Store Builder-Shopping Cart, more. Start Your Own Web Hosting Business with a Reseller Plan. or start a turnkey domain name reseller business. Reliable website hosting, fast, friendly support, 30 day money back guarantee... and more. You can depend on feature packed hosting packages and a powerful, secure server to keep your websites up and running. You can order with confidence - we'll always take good care of you! Personal or Business Hosting - SSL, Merchant Accounts, it's all here. 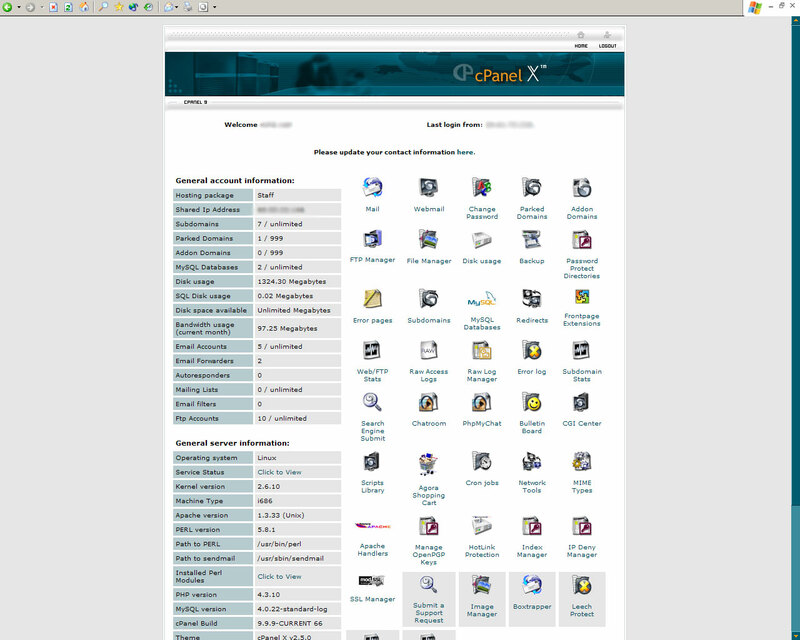 You get the popular CPanel control center, loaded with features, including Guest Books, Chat, Counters, File manager and editors. Fantastico is the best If you're looking for advanced site building too. It has over 40 scripts, including eCommerce Shopping Carts, Auction, Photo Album, and Blogs. Where else can you find all this at one low price? To get started, just select the web hosting plan that's right for you; upgrades are seamless. Affordable hosting - no setup fees - no hidden fees - Lots of Great Features Included! everything you'll need is at your fingertips to make email accounts, password changes, database or website updates and more. COPPA: In compliance with the Children's Online Privacy Protection Act (COPPA), we will not accept applications from any child under age 13. Copyright 2006 RightStuffHosting.com - All rights reserved.